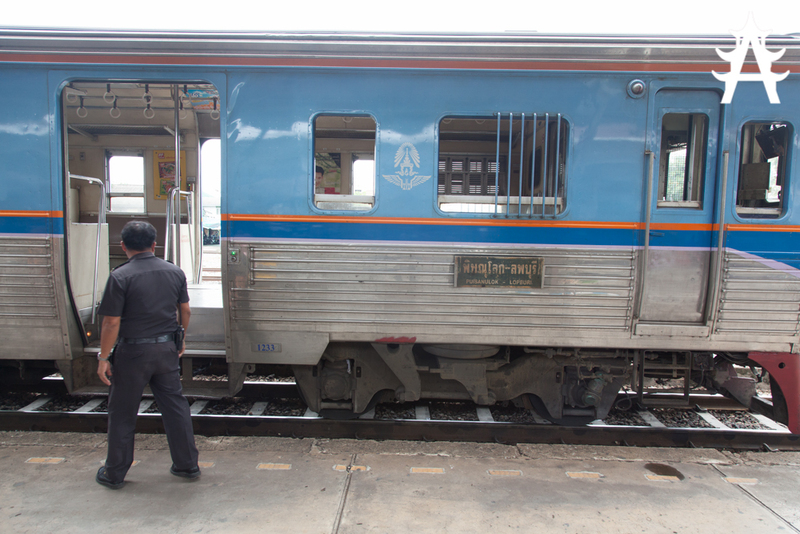 Today I used the Thai Railway system for the first time and must say: It’s pretty amazing. It’s cheap, its quick, and its a nice way to watch Thai people in their natural surrounding. Todays article was written on the go, I wrote it while taking the train and took down the events and happenings. So its more like a timetable than an article really, but hey, who cares? 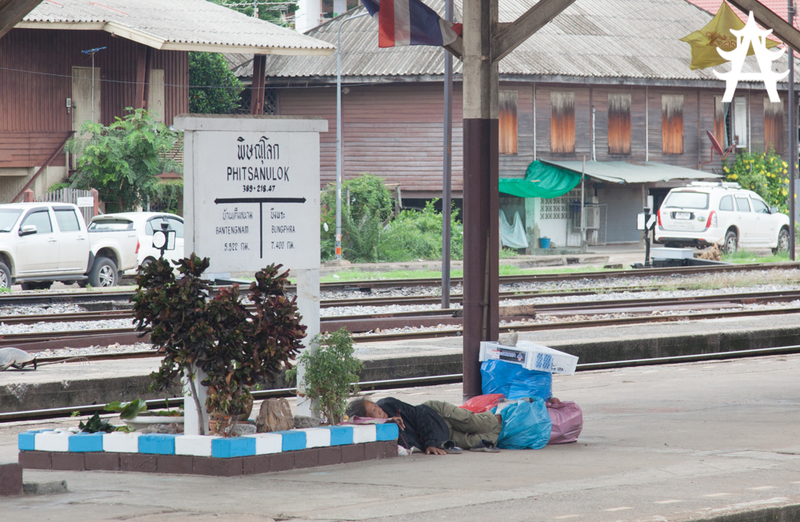 „One ticket to Phitsanulok, please“. 49? Didn’t this official railway site say 160? OK, even better. That’s only a few Baht more than what I usually pay for the Mototaxi ride to my hotel. OK, now the mystery clears up a bit. 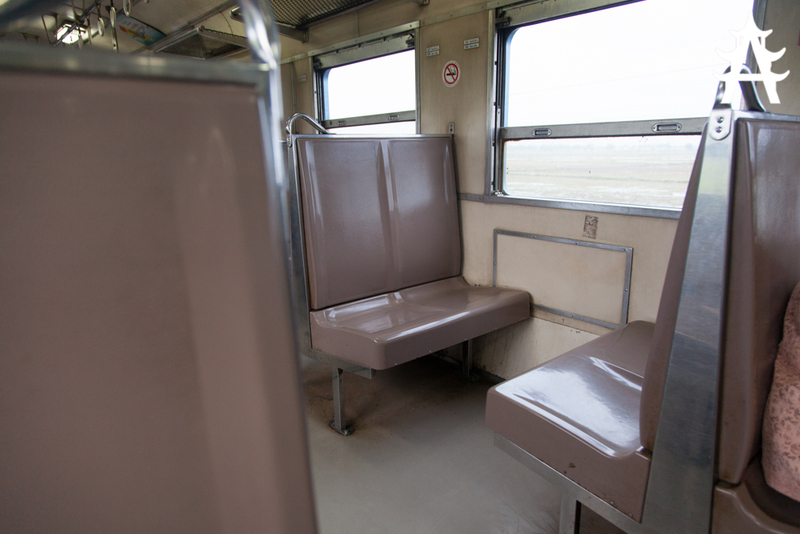 I booked 3rd Class, which means Fans instead of Aircondition and solid plastic benches instead of padding. But hey, the ride is supposed to take only a bit less than 5 hours, that should be possible, right? Still looks like an amazing deal to me. The seats are starting to get uncomfortable. Even more so as the train has started filling up with people, and there is no leg space available anymore. The landscape remains the same: Fields, Trees and a few houses from time to time. Time for breakfast. Vendors are entering the train every now and then, selling everything from water, beer or lemonade to cakes, bread and even smoked fisht. 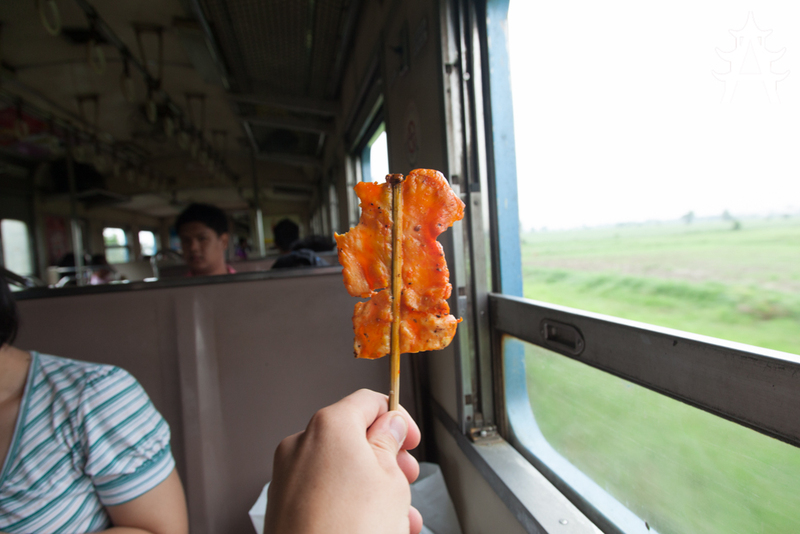 I choose a bottle of water, two meatsticks and a small bag of sticky rice. I would have preferred something sweet, but still, it tastes very good and its not spicy. The train stopped at a station. Instead of going forward it now rolls backwards for a minute. Then I hear hammering noises and feel the impulses of the hammer hitting the train. I realize that they are working on this train. Something seems to be wrong, and it does not look like we would continue very soon. Problem solved, the train is rolling again. Almost lunchtime. 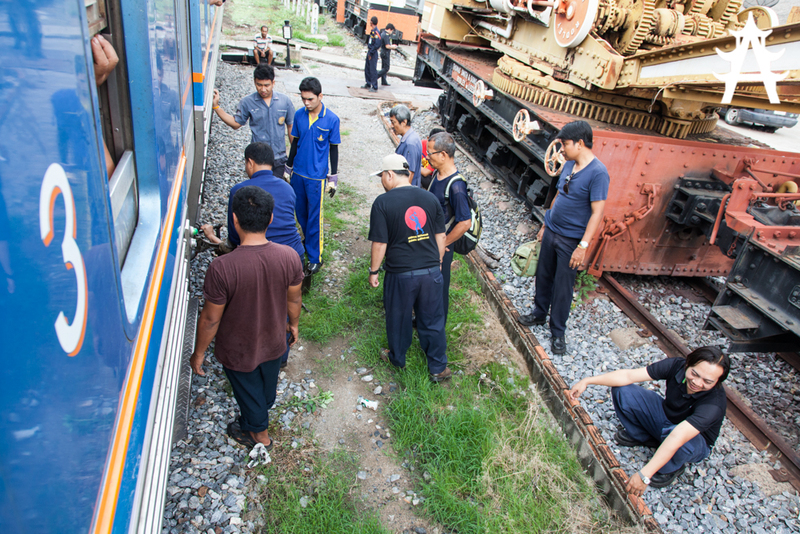 Three people come over from another train car to give alms to the monks that sit in my department. The alm donation concept seems to be omnipresent, and it works in any given place. I have arrived. 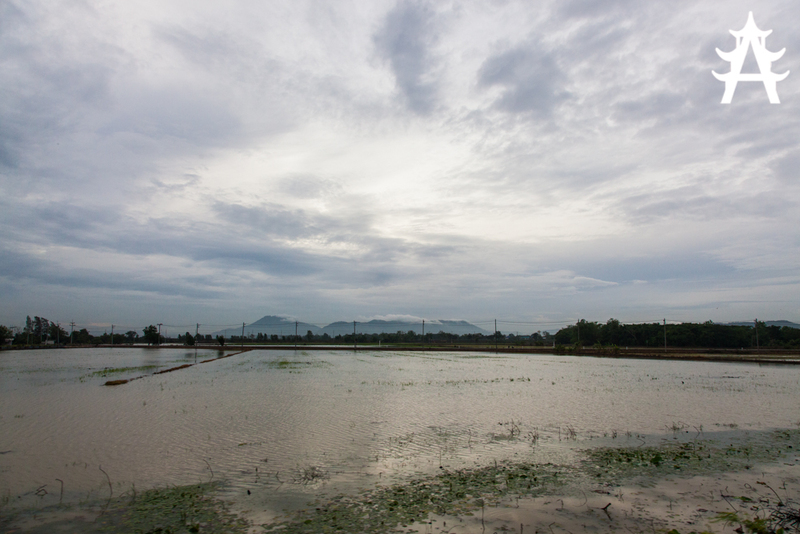 With a 20 minute delay (which was caused by the repairs I would guess) I have made it to Phitsanulok. I am alive, and I actually enjoyed the ride for the most part. 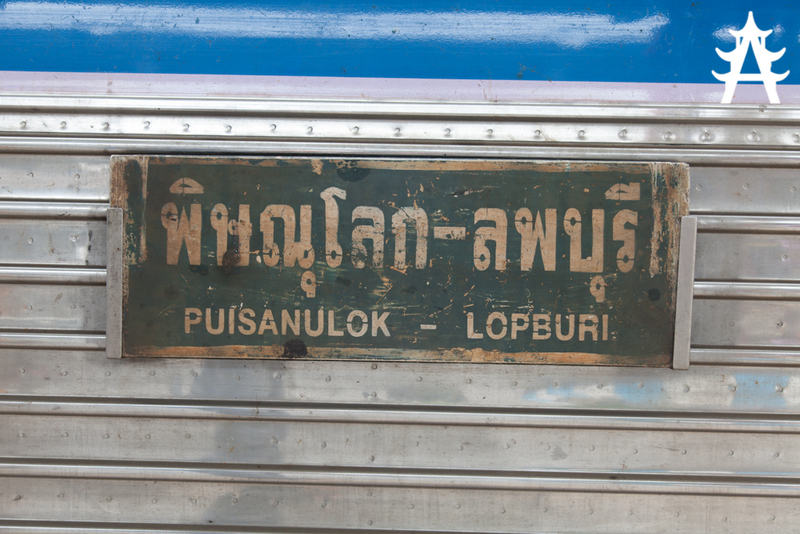 5 hours might have been a bit long, but I was able to find out how Thai people travel. Also, it was ridiculously cheap. 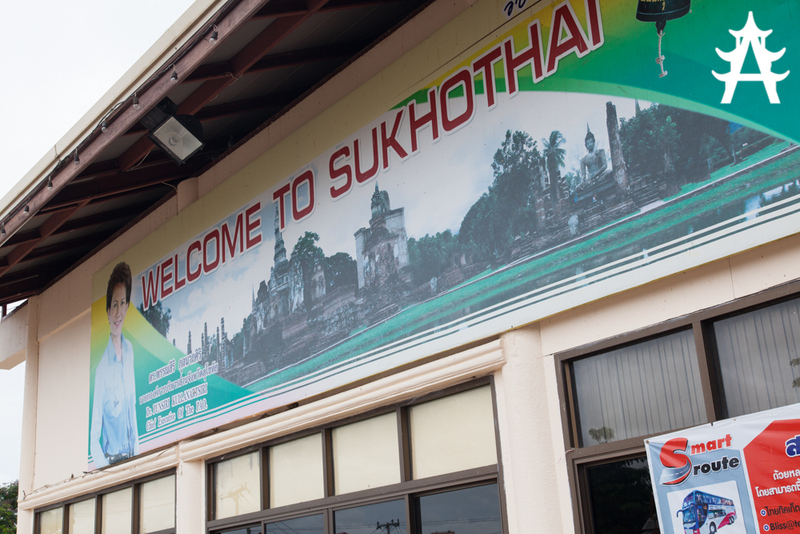 After arriving in Phitsanulok I have to take a minibus to get me to Phitsanuloks Bus Station, where I have to get a connection bus to Sukhothai. Together that costs me 56 Baht, so 7 Baht more for 4 hours less travelling. I will definitely choose the train from now on.